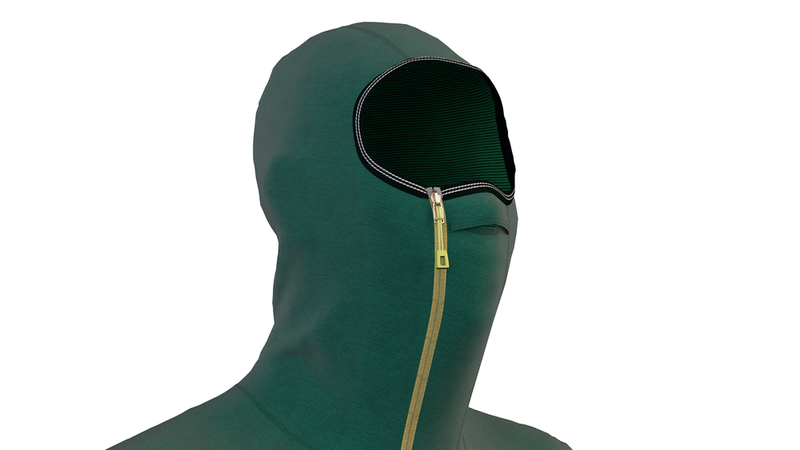 Avalung & reservoir bite valve compatible balaclava hoody. 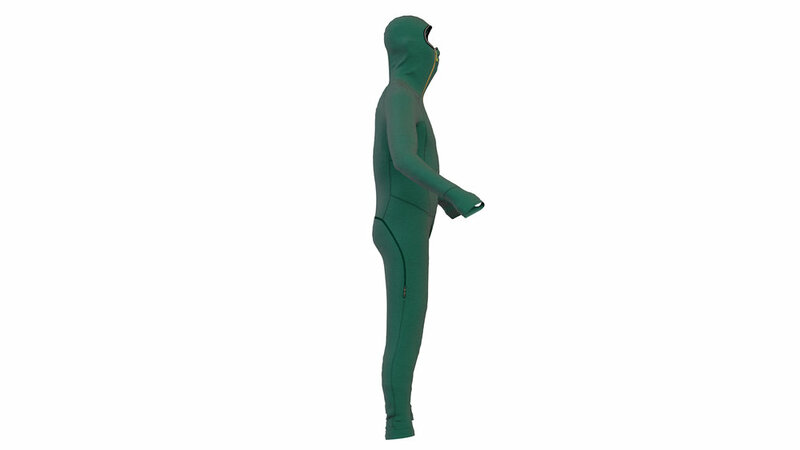 Offset full-sized zip drop bottom eliminates chafing under hip belt. 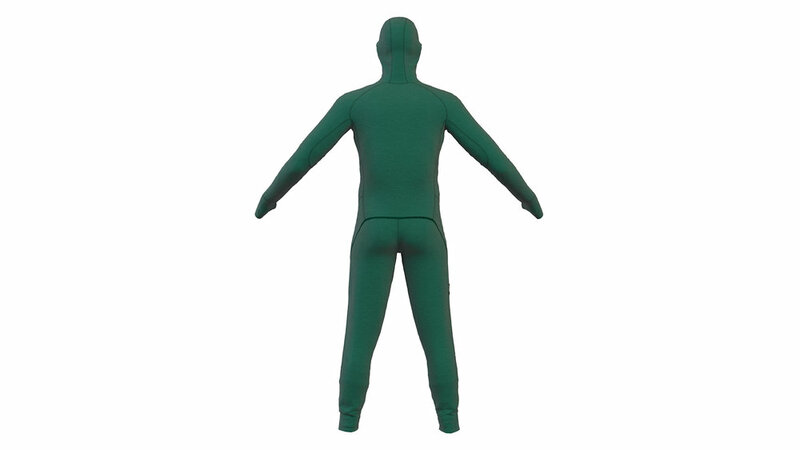 Polartec Power Wool & Power Dry (w/ recycled polyester) - warm, breathable, durable, sustainable. 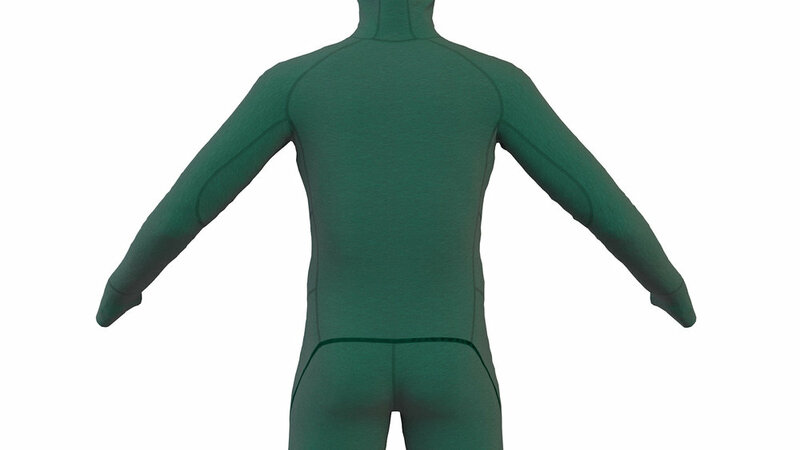 An ultimate PBL(Performance Baselayer) design study based on Patagonia R1 Hoody.